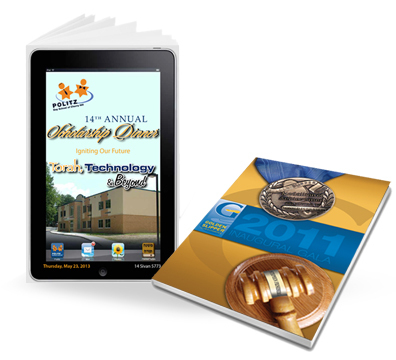 Creative Print Group has years of experience designing and printing all kinds of books and catalogs. Whether you are a company in need of a new product catalog or an author who wants your book formatted into a perfect bound edition, we can provide interior page layout, cover design and full service printing. Ad books are terrific for fundraising and many of our non-profit (501c3) clients turn over their Ad Journals to us for complete design and print, helping them to maximize their event earnings. No matter what your book or catalog needs may be, Creative can help.